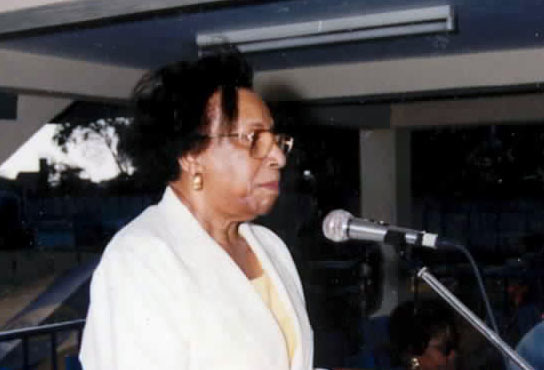 Retired Judge, Justice Dame Monica Joseph is the chairperson of the Integrity Commission. Her appointment, according to the 15 November 2013 Government Gazette came into effect as of 1 November and will end on 14 February 2015. The law provides for the chairman and the members to serve for a period of three years. Originally, Grenada approved legislation to establish the Integrity Commission back in 2007, and by 2009 a Commission was named with Retired Judge Lyle St Paul as the Chairman. However, after reviewing the law it was realised that there was a need to strengthen the legislation which resulted in the repealing of the old act and approving of a new Act. The new legislation received the necessary parliamentary approval and came into effect on 3 October 2013. The commission according to the legislation shall, among out things, receive and examine all declarations filed by persons which fall into the category of public life; make inquiries as it considers necessary in order to verify or determine the accuracy of the declarations; receive and investigate complaints regarding any alleged breaches of the provisions of the Act and investigate conduct of any person falling under the purview of the commission which in the opinion of the Commission may be considered dishonest or conducive to corruption. According to the regulations there are 33 categories of persons listed as public life officials, and it includes all public officers including non established officer receiving a salary in excess of EC$2,000 per month. Other persons on the lists include: Parliamentarians; chairman and deputy chairmen of statutory boards; magistrates and members of the public service commission. The Commission and every person performing any function in the service of the commission shall treat all declarations, records, or information as secret and confidential and shall not disclose or communicate to any authorised person. Where an authorised person publishes information that is secret or confidential commits and offence and is liable on summary conviction to a fine not exceeding EC$20,000 or to a term of imprisonment of one year or both fine and imprisonment. According to the code of conduct, a person in public life shall not engage in any activity or transaction or acquire any position or function whether paid or unpaid, that is incompatible with or detracts from the proper performance of his or her duties as a public official. With regards to political or public activity, the code says that a person in public life shall ensure that none of his or her political activities or involvement or political or public debates impairs the confidence of the public and his or her employers in his or her ability to perform his or her duties impartially or loyally. The Office of the Commission will be located at Archibald Avenue. The Gazette also said that lawyers Anande Trotman-Joseph and Daniella Williams-Mitchell are members of the commission. It is expected that the names of the other members will be made public in an upcoming edition of the Government Gazette.